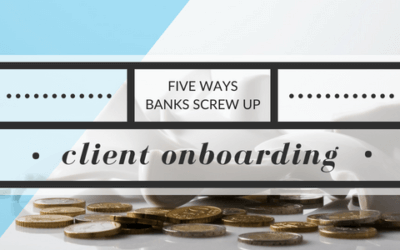 Regardless if you define onboarding as welcoming a new client, adding products to an existing client’s profile or simply “maintaining” a client’s services, the onboarding process is complex. Our Treasury Management Solution integrates with your existing CRM to streamline and accelerate the onboarding process, from the back-office to the retail office, for both employees and clients. By leveraging enterprise content management methodologies, banks are able to process and maintain client information in a case structure. 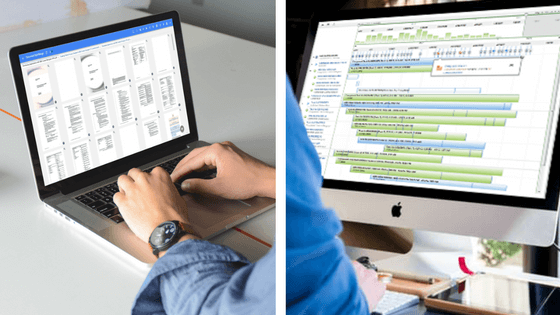 This case structure gives managers, users and executives across the enterprise visibility and insight into production information and onboarding timelines that many institutions lack. Quickly identify KPIs to forecast workloads and project pipelines, identify bottlenecks, benchmark accuracy and timeliness of onboarding instances, and more. 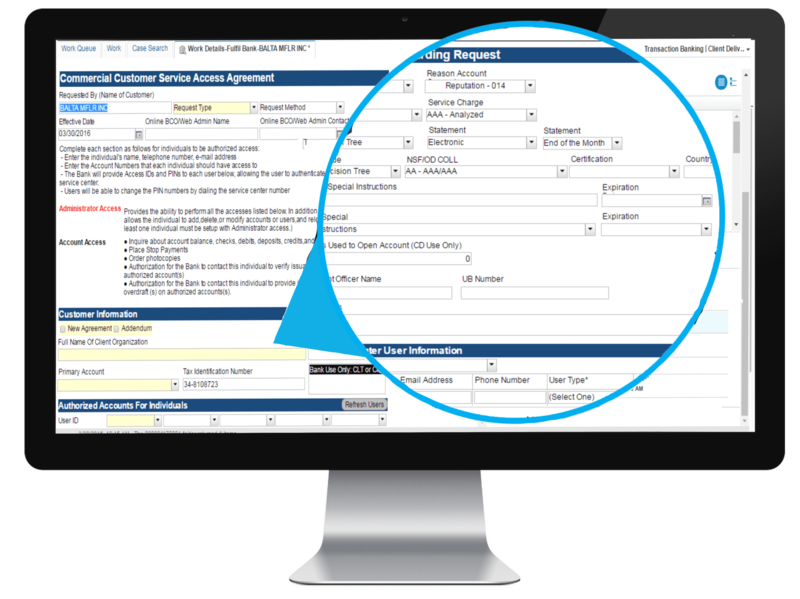 Instead of requiring multiple paper forms for each product you have, leverage smart forms that pre-populate a client’s known information. 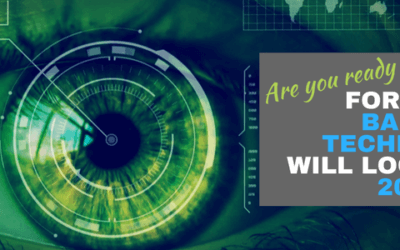 This eliminates the need to capture information twice, reduces human errors, prevents pestering the client, and keeps your system up-to-date. Many systems perform tasks in a linear processing method. This means when you want to run a credit check, for example, you can’t complete step four unless you completed steps one through three, even if step four is independent of the preceding steps. Our Treasury Management Solution performs tasks in parallel so users can complete tasks simultaneously, not step-by-step. By eliminating serial processing, clients can leverage their products sooner and you can start billing sooner. 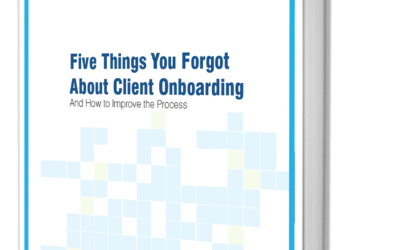 Don’t let wet signatures slow the onboarding process. With our Treasury Management Solution, automatically generate documents and contracts with e-signature fields embedded directly in them. 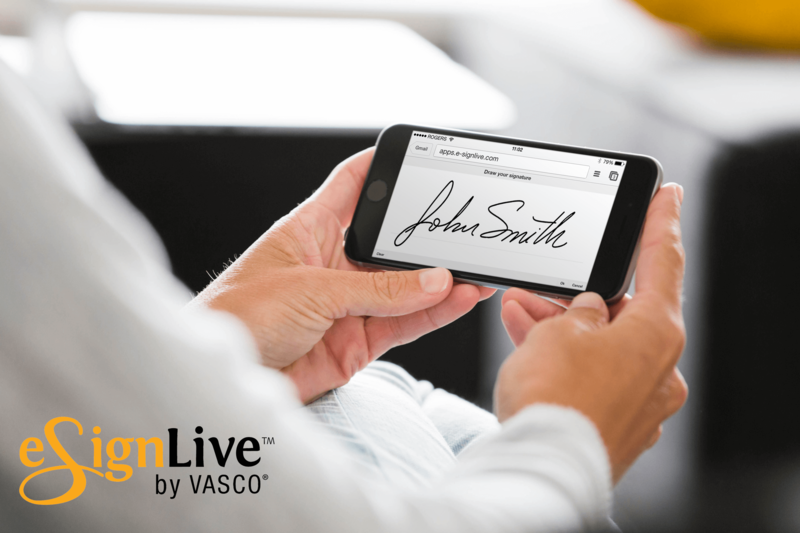 Not only does this gives you customers the ability to quickly sign documents anywhere in the world, on any device, it enables you to focus on your customers, instead of chasing after signatures. Talk with one of our banking experts.